Rachel Cassandra is a teacher and dancer originally from Port Jefferson, New York. Her passions are dancing, teaching, and travel and she’s pursued these extensively since she started dancing in 2005. She has a varied dance background and extensive teaching expertise. Have a look at her YouTube channel. 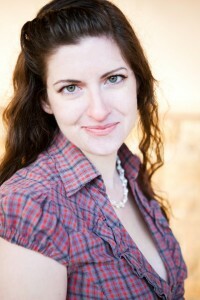 Rachel has taught in cities around Europe and across the United States. While she periodically bases herself in one city for a time (recently Sydney, New York City, London, and Dublin), she is more often living the nomadic teaching lifestyle. Stuttgart may be called home base from February 2017. Although she’s not currently running any weekly classes, you can contact her about workshop possibilities. 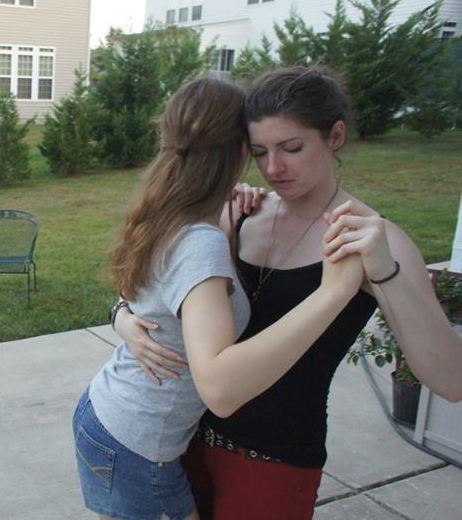 Kizomba is Rachel’s primary dance. She also provides instruction in semba and has been known to give tips on social tarraxinha. Additionally, Rachel enjoys sharing her love of blues dancing. While she adores following, Rachel spends about half her time leading on the social floor. She is an advocate of gender equality in partner dancing. Not only does she teach leaders’ steps and technique, she encourages everyone to try following and styling classes. 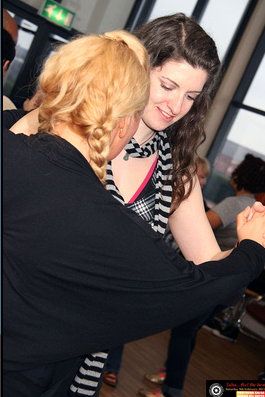 She loves to see people exploring both sides of social dancing. Besides that, you’ll still find Rachel out doing lindy hop or salsa on occasion, and she’s determined to learn West Coast Swing, Brazilian Zouk, and Argentine tango eventually. Rachel focused primarily on American vernacular jazz dances in her first years of dancing. She got her first taste of blues dancing as it started to infiltrate lindy hop events in 2007 and 2008. Early classes with Mike Leggett, Dave Madison, and Tina Davis whetted her appetite, but it wasn’t till 2011 that she dived in and started traveling all over the USA. Pretty soon she was going to multiple blues-exclusive events a year, taking classes from the best in the country. A job-related move to Morocco in 2010 brought Rachel to salsa dancing. After intensive work, she was named national champion at the Morocco Salsa Contest of 2011. 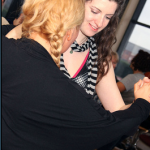 Rachel took an introductory workshop for kizomba while in Casablanca from Doumb and Ingrid. She was very taken with kizomba, but was limited in her pursuit of this new dance by geography. Later that year at the Carthago Festival in Tunisia, she further kindled her passion for kizomba in classes with Nelson Campos. She moved to the UK in 2012 to continue her training and to teach kizomba and semba with him. 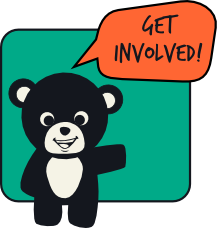 Rachel worked with Nelson to create an organized and adaptive curriculum for multiple levels for use at weekly venues in the UK. In addition, she taught and performed at numerous European festivals. She has worked continuously with a variety of teachers to expand her style. Rachel returned to the US in September of 2013 and began teaching on her own. From April 2014 to December 2017 she traveled from event to event with no fixed residence, teaching in over 30 US cities as well as in Europe, Australia, and Southeast Asia. From February 2017 Stuttgart may be called her home base. Finals, Jack and Jill, Bambloozled 2013, Washington, D.C.
“Rachel Cassandra! I was truly blown away and inspired by the knowledge, talent, and experience that you possess as a Kizomba dancer and teacher! One of the best leads I’ve danced with yet Can’t wait for you to come back! 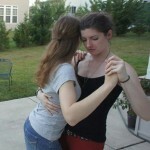 “1) Rachel is one of the best Kizomba instructors! I’ve taken classes with many instructors and she is an impressive educator. 2) You will learn how to dance Kizomba properly. She will incorporate different methods to help better educate you about Kizomba. 3) You will have a beautiful encounter with a dance I love so dearly. August 15-17, 2014: DC Bachata Congress, Washington, D.C.
Jan. 18, 2013: Kizomba Taster for Blues Dancers, Washington, D.C.